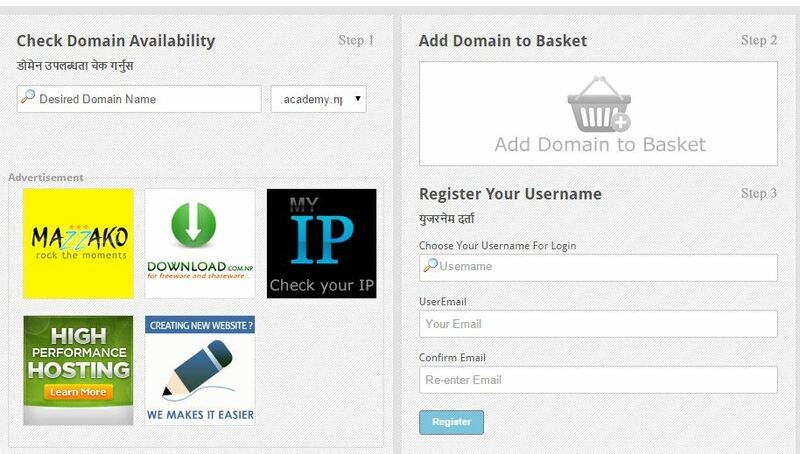 10 Steps: get yourname dot com dot np domain in Nepal for Free? All Nepalese citizens and companies are allotted with a free domain name with .np root by the Nepal Government. The only thing you require is a citizenship card or company registration certificate, in case you are a company. 2. Follow the easy steps (1, 2 & 3) there. 3. Check your email, you will get couple of emails from Mercantile Communications Pvt. Ltd. You might get an email to update your password first. 4. Write an application to Mercantile office at Kathmandu (Full Address: Narayanhiti Path, Kathmandu 44600, Nepal) that you want to register a new domain name mentioning your registered domain. In case of company, the application must be written on the company’s letter head with it’s stamp & authorized signatories. 5. Scan a copy of this application & the citizenship card / Company Registration Certificate. 6. Login to register.mos.com.np with your latest credentials. Update your personal information. 7. Read the instructions & upload your documents. 8. 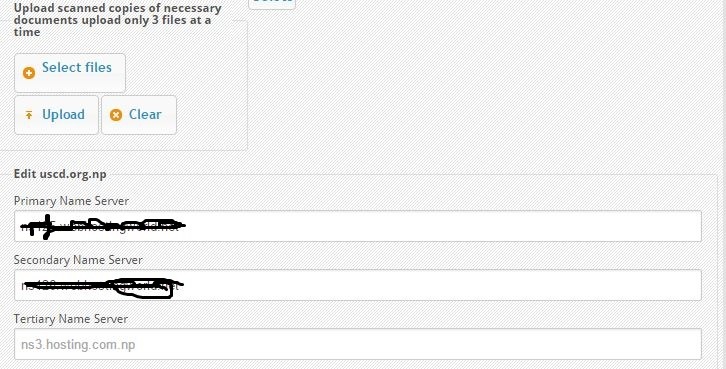 If you have purchased space from hosting companies, update your nameservers. 9. Congratulations, you have registered your domain. Next, you have to attach this domain name with a space to host your website. 10. Drop an email to nomeasdev at gmail dot com if you require hosting space or if you have any doubt. Author dewendraPosted on September 1, 2015 Categories Browser, E-Commerce, Facebook, InternetTags .com.np, .np, company, domain, nepal, nepali citizen, register domainLeave a comment on 10 Steps: get yourname dot com dot np domain in Nepal for Free? Author dewendraPosted on August 17, 2015 Categories Spiritual, Telecom, UncategorizedTags bardiya, buddha, chaudhary, dang, kailali, lumbini, nawalparasi, nepal, tharu1 Comment on थारु को हुन् ? aatma ma timro baas cha……..